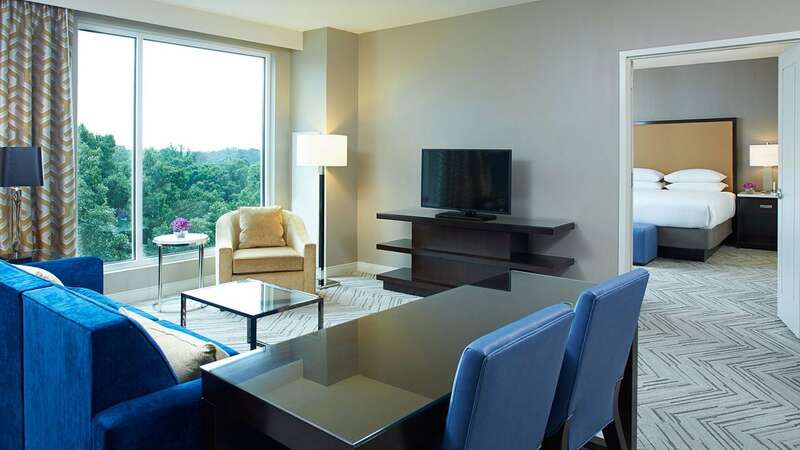 Hyatt Regency Atlanta Perimeter at Villa Christina offers modern elegance for travelers looking for luxury guestrooms and hotel suites in Dunwoody, Atlanta, Georgia. 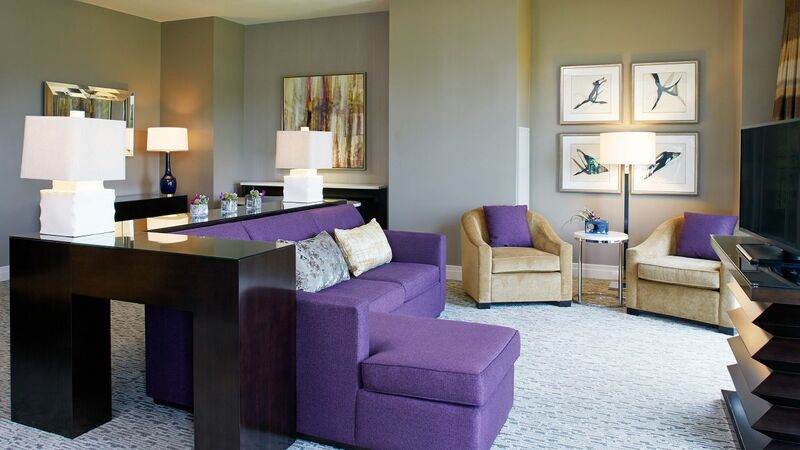 Enjoy all the comforts of home in spacious Atlanta accommodations offering views of the pool, cityscape or woods. 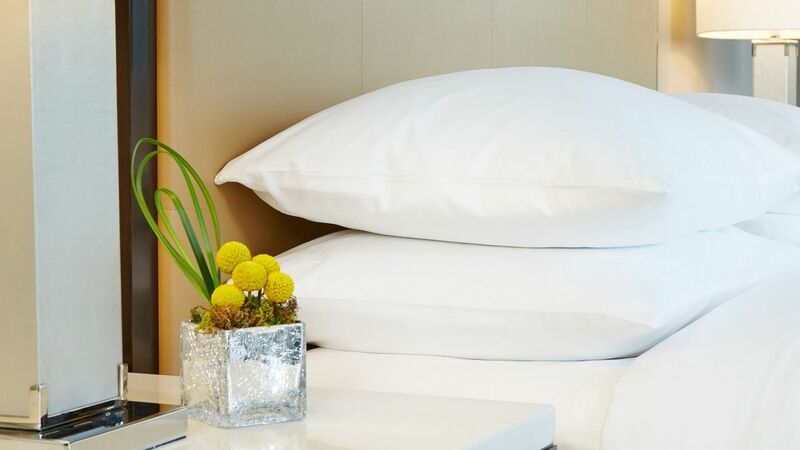 Choose from our standard and accessible hotel rooms with one king bed or two queen beds or indulge in our luxurious suites with one king bed. 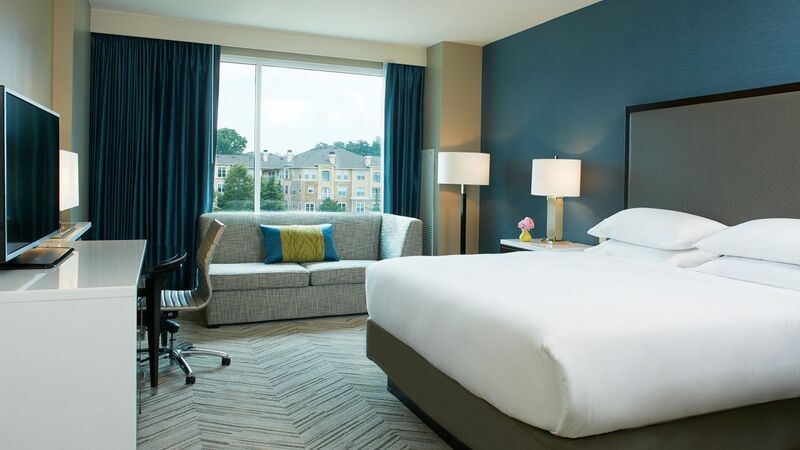 No matter which room type you choose, you’ll feel right at home and enjoy being centrally located to the best attractions and activities in Atlanta. This luxuriously spacious, 1,978 sq ft, seventh-floor suite boasts two king-sized Hyatt Grand Beds™, two bathrooms, separate living and sleeping areas and views of the nearby woods. This 1,184 sq ft suite boasts a living room area, king bedroom powder room, wet bar, and a large balcony overlooking the hotel’s gardens and surrounding woods. 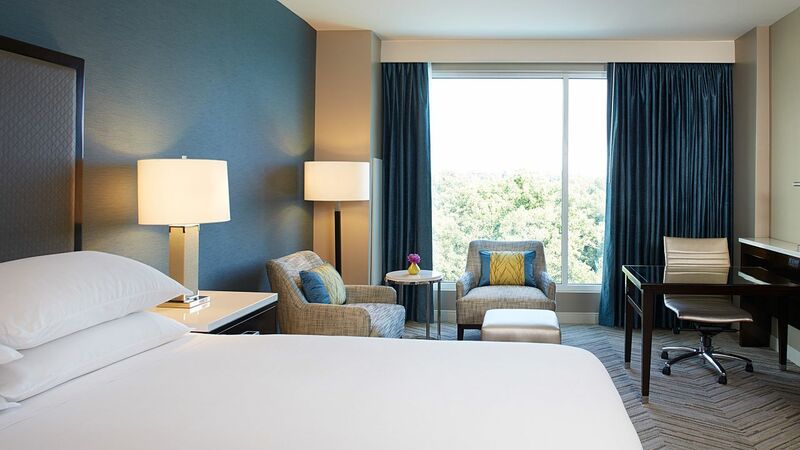 You’ve earned the right to enjoy upgraded comforts in this spacious 900 sq ft suite boasting one king-sized Hyatt Grand Bed™ and views of the nearby woods. Host a high-level dinner meeting or a strategy session in this spacious 794 sq ft suite boasting one king-sized Hyatt Grand Bed™ and views of the city. This is a premium suite. See World of Hyatt program terms for upgrade eligibility. 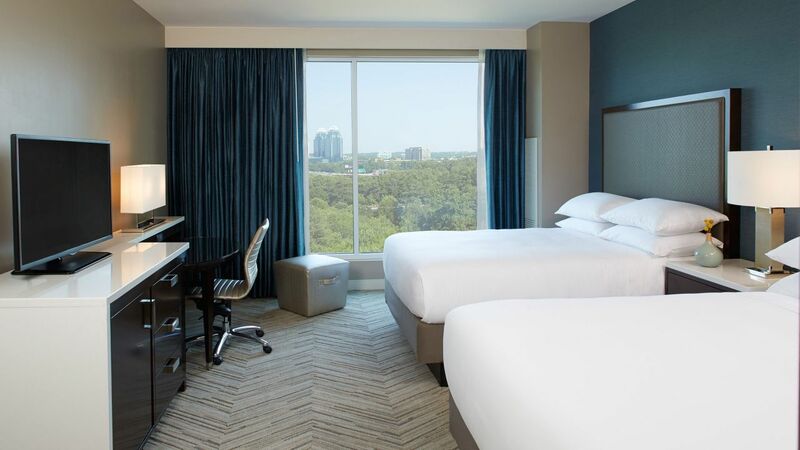 Enjoy the extra space in this comfortable 380 sq ft room offering one king-sized Hyatt Grand Bed™ and views of the pool, city or woods. 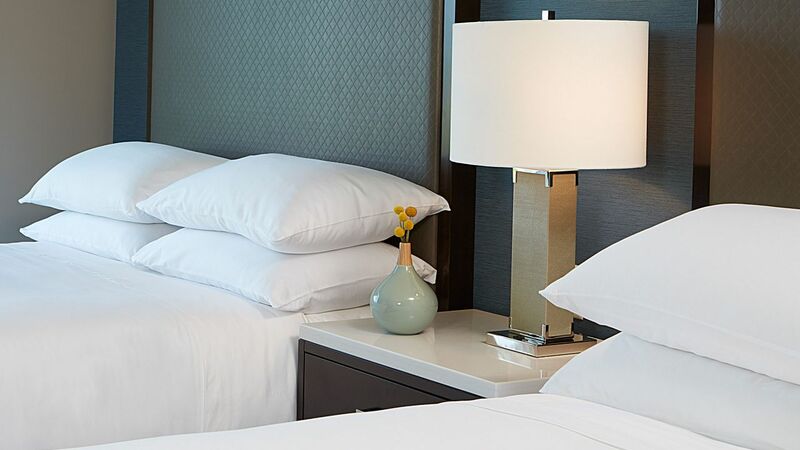 This preferred high floor room is located on our privately-accessed premium level of the hotel, featuring upscale amenities and a king-sized Hyatt Grand Bed™. 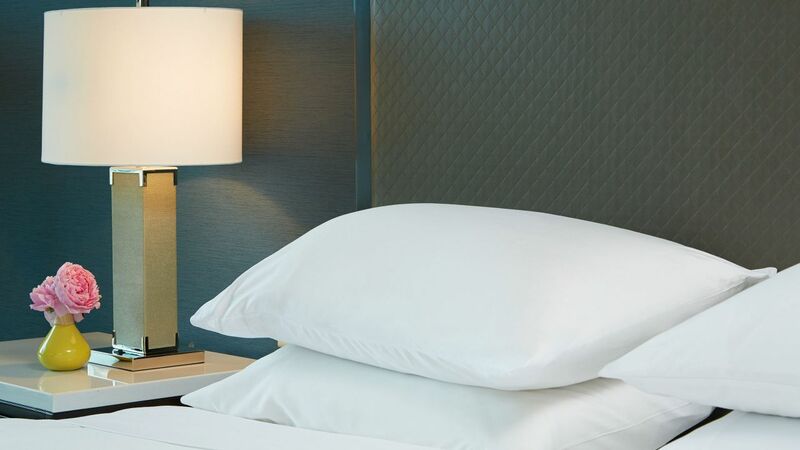 This preferred high floor room is located on our privately-accessed premium level of the hotel, featuring upscale amenities and two queen-sized Hyatt Grand Beds™. Enjoy the residential feel of this spacious 345 sq ft room boasting one king-sized Hyatt Grand Bed™ and views of the pool, city or woods. Share all the comforts of a 345 sq ft room boasting two queen-sized Hyatt Grand Beds™ and views of the pool, city or woods. Truly an executive accommodation, this 380 sq ft accessible room features one king-sized Hyatt Grand Bed™ and accessible tub. 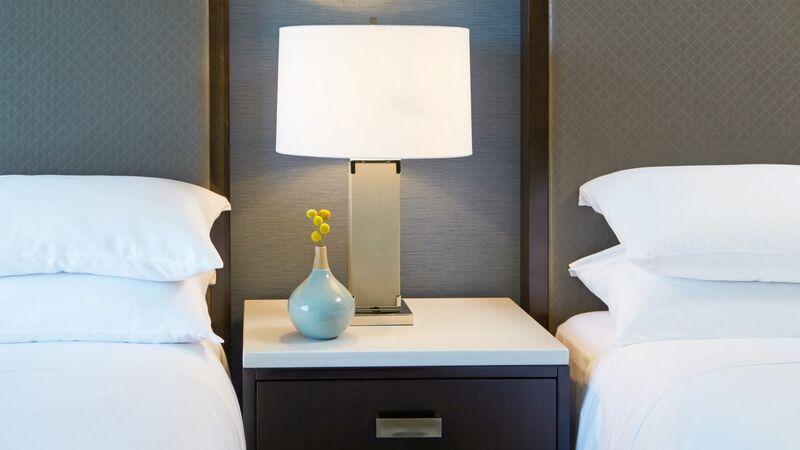 This ADA-compliant room includes one king-sized Hyatt Grand Bed™ and numerous ADA-compliant amenities and features. Arranged for your comfort, this 340 sq ft accessible room features one king-sized Hyatt Grand Bed™ and accessible tub. Enjoy the comforts of this 380 sq ft accessible room featuring two queens-sized Hyatt Grand Beds™ and accessible tub. 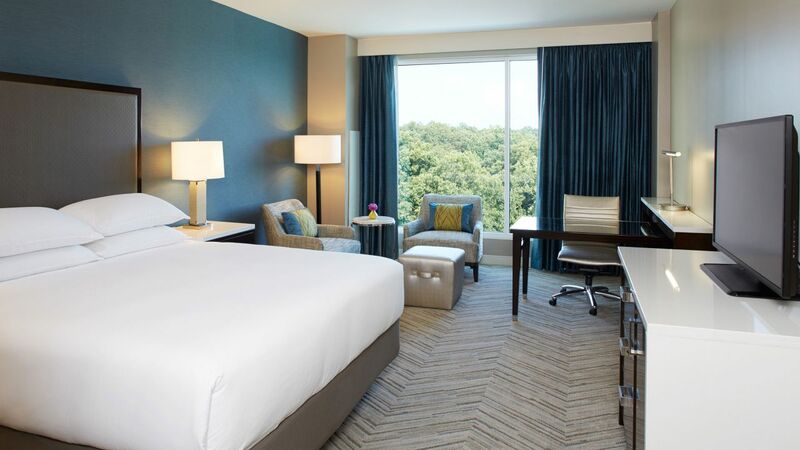 All the comforts of home in a 340 sq ft accessible room featuring one king-sized Hyatt Grand Bed™ and accessible shower. 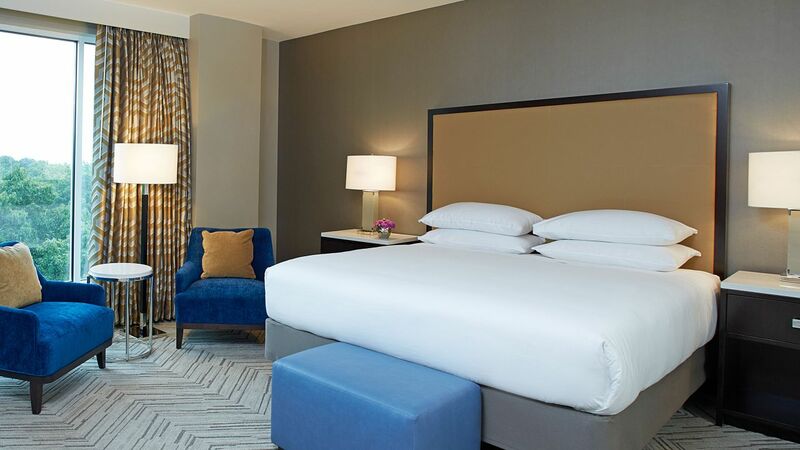 Offering plenty of room for two, this 380 sq ft accessible room features two queen-sized Hyatt Grand Beds™ and accessible shower.